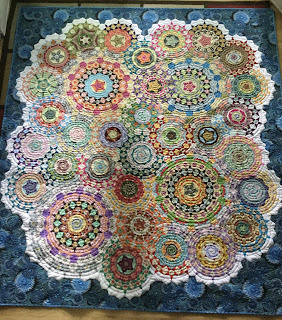 Eagles' Wings Quilts: La Passacaglia is finished!!! What a stunning finish! 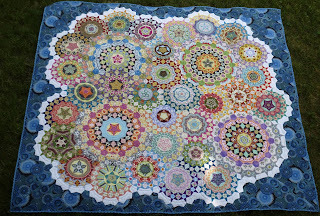 This quilt is just gorgeous...everything about it is...the rosettes, the quilting, the background fabric, the rounded corners....wow!! Wonderful finish! A spectacular quilt! You can always link it up to Kathy's blog this coming Sunday...congratulations on a great project! It is lovely, a true accomplishment , a masterpiece! Enter this in next weeks linky. I love the blue border fabric, and the backing was perfect. Congrats. 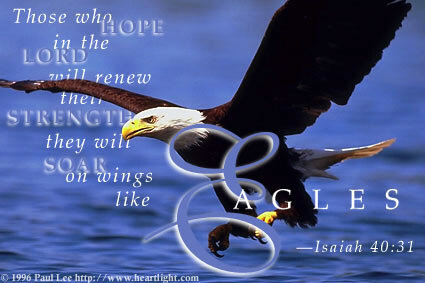 Glory is right...GLORIOUS! Such a stunningly beautiful piece of art. Your so talented. WOW!!!!!! That is gorgeous!!! 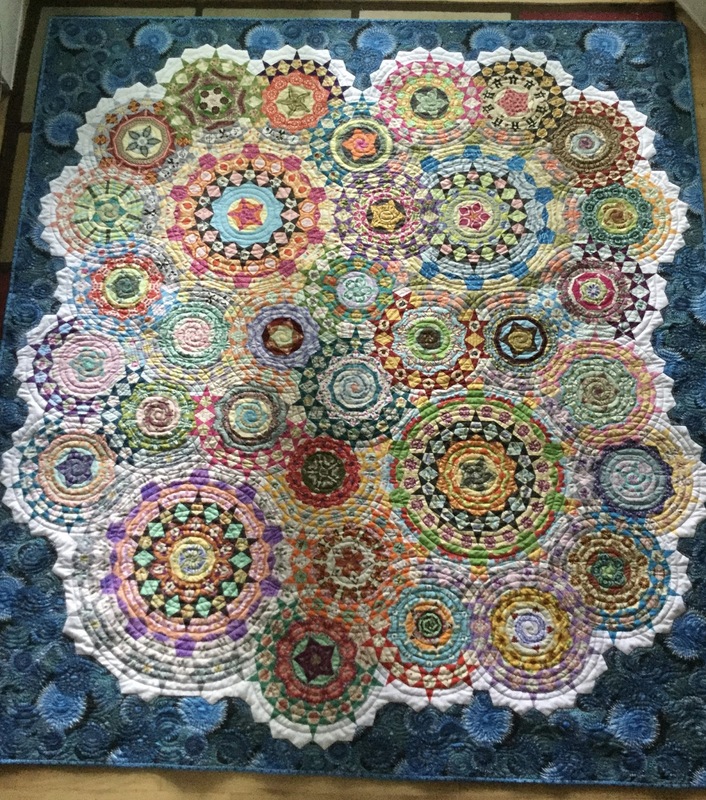 The piecing is amazing, color choices are wonderful and the border fabric is perfect and your quilting is even more perfect to show it all off!!!! I'm really gushing but its worth gushing over. Absolutely beautiful!!!!! I am speechless!!! 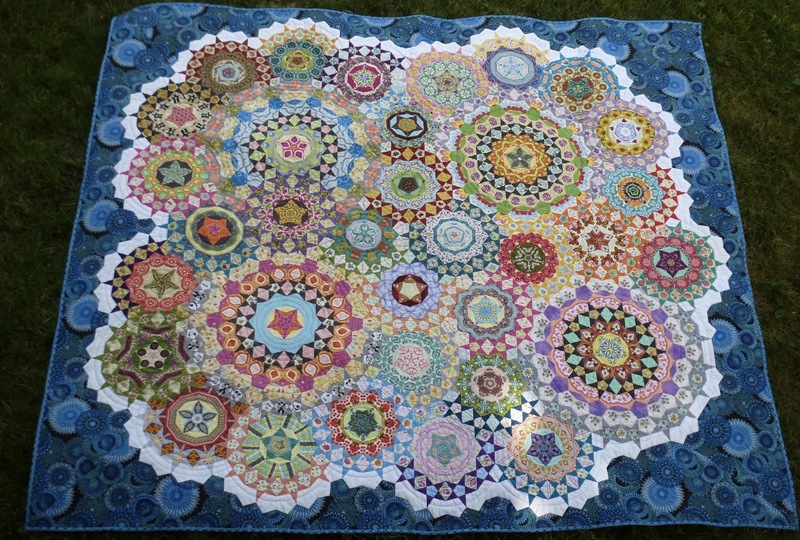 What an amazing use of color and the quilting. . . I just have my mouth open. Absolutely stunning! I have enjoyed watching your quilt grow. Thanks for sharing the finale. I was wondering how you were going to quilt it so thanks for the closeups. This is truly an "heirloom" quilt.